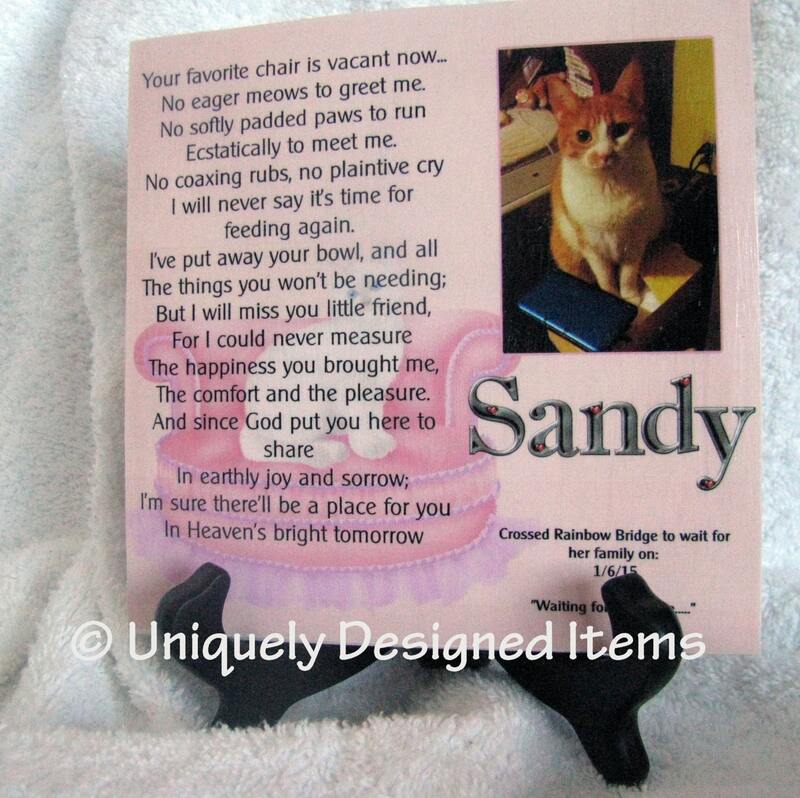 I've gotten a lot of requests for dog memorials and I know the cat lovers want them too. Here is one for the cat lovers. 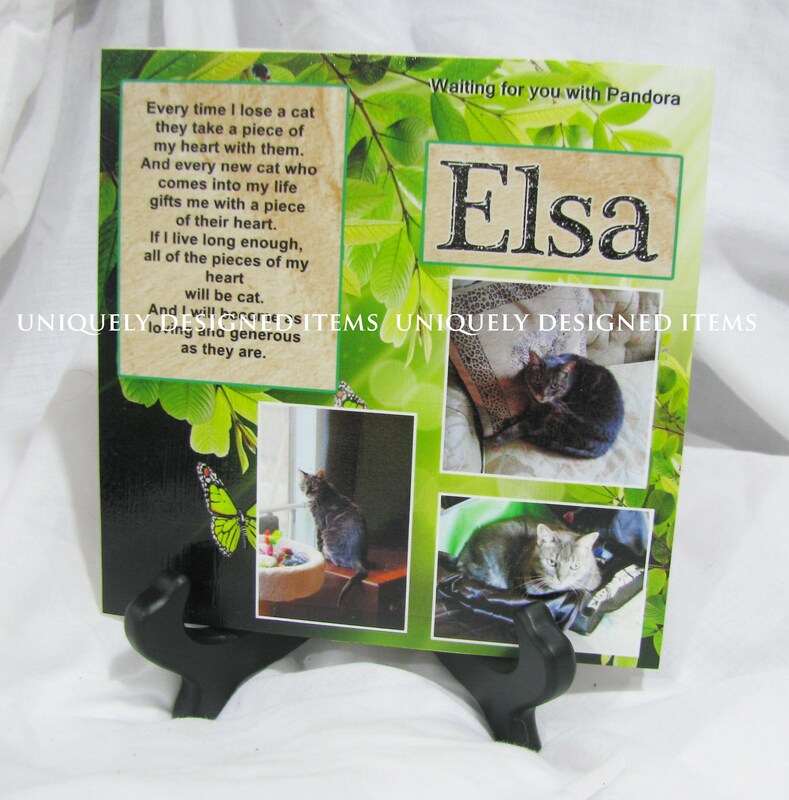 To order, you don't need to request a custom order. Please put the pet's name in the "notes" section. And send a convo (below each convo is a camera icon to attach a photo). I will send a proof to make sure you are completely happy! If you have any preferences like color, etc... please let me know in the notes section or in a convo. I can change colors, add different graphics. Their name and date. Its up to you! 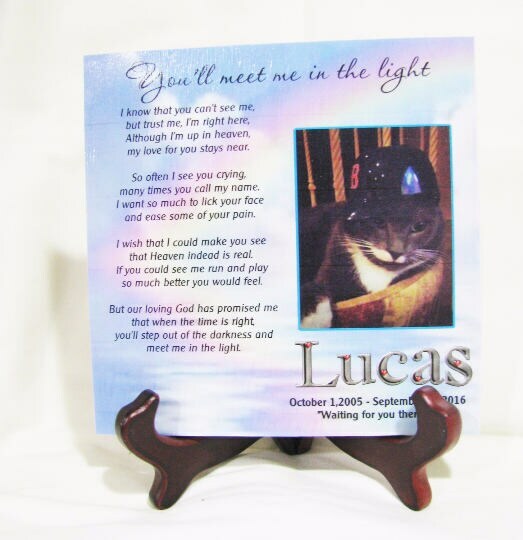 I know what its like to lose a fury loved one and I want to make something special for you to remember them by. 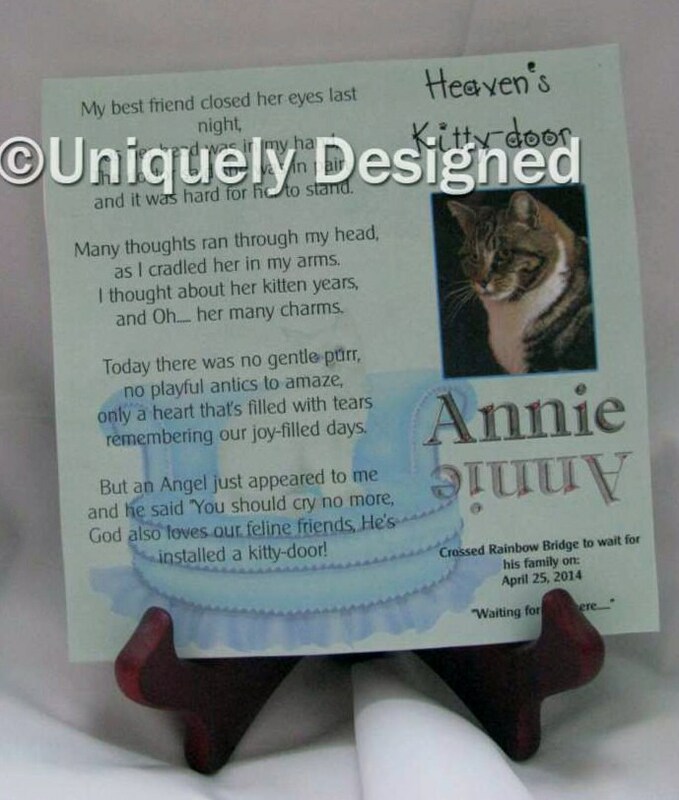 I love this saying about Heaven's Kitty Door. I hope you will too! Please convo me and I will send samples to pick from. Can ship up to 3 tiles in one box.